Vanderbilt University assumed a national role of collecting an important part of the documentary record of the 20th century when it launched the Television News Archive in 1968. 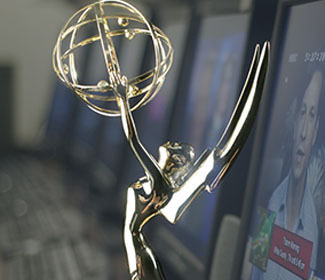 The Archive received the Regional Emmy’s highest honor, the Governor’s Award for Lifetime Achievement, from the MidSouth Chapter of the National Academy of Television Arts and Sciences during its awards ceremony on Jan. 26, 2013. You can view a bibliography of articles about the Archive and of scholarly communications and published research projects that have used the archive as a resource. Initial funds to purchase equipment and build out various elements of the Archive came from grants, while necessary to the startup, did not provide ongoing support for basic operations, a labor-intensive workflow, or keeping the technology up to date. Funding that is vital to the sustainability of the Archive now comes from a variety of sources, including institutional sponsorship, video loan services, foundation grants and philanthropic contributions. The support from individuals over the years—led by their belief in the mission to raise private funds and urge institutional support—accounts for the long life of the Archive. We are dependent on generosity and commitment such as this to keep the Archive in operation and the extensive collection of material available for scholarship and research. For more information about how you can support our mission please contact the Archive via phone at (615) 322-2927 or via email.